›Rubber-Cal Super-Grip Scraper Rubber Runner Mat - Black, 120 x 48 x 0.19 in. Rubber-Cal Super-Grip Scraper Rubber Runner Mat - Black, 120 x 48 x 0.19 in. Super-Grip Scraper Rubber Runner Mats are the most aggressive non-slip floors. 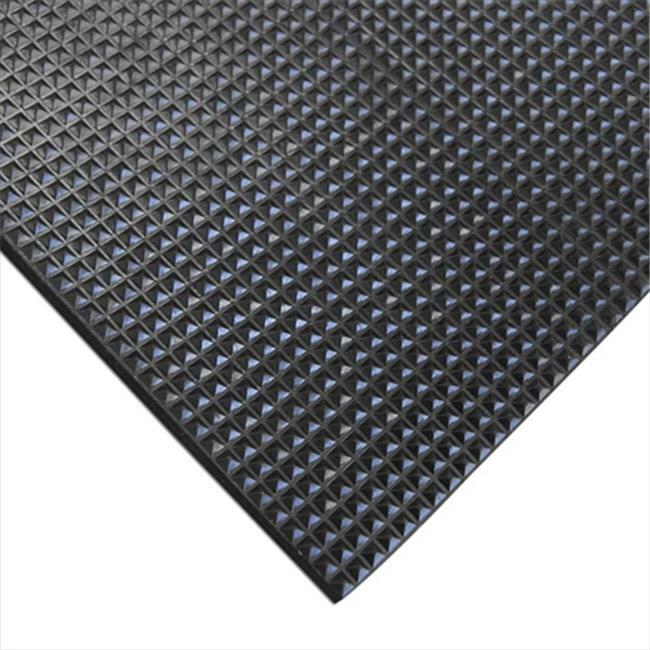 Made from a mixture of SBR, reclaimed, and recycled rubber, this durable rubber traction mat is commercial entryways to prevent dangerous accidents. The surface of each "Super-Grip Scraper" traction mat is designed with unique pyramid-shaped protrusions that will scrape any mud, muck, or other moisture off of shoes and boots. These non-slip floors are made to keep interior floors clean and dry while preventing slips, falls, and injuries. Incredible slip resistance, these rubber runner mats are also extremely versatile. 120 x 48 x 0.19 in.